Stay up to date with what's happening at the Safety Village! On June 9th at the Annual Children’s Hero Awards, Emme Roe was recognized as a Hero. Here is Emme’s story. On the weekend of March 31st, Emme was visiting her dad when he went into seizure. Emme called 911, which she had never done before. When Emme went outside to find the house number for the 911 operator she accidentally locked herself outside of the gate and was unable to get back inside to be with her dad. Although Emme was shivering cold outside and admitted to being afraid, she staying on the phone with the 911 operator until police and ambulance arrived to help her dad. Emme was very brave for her dad that day. 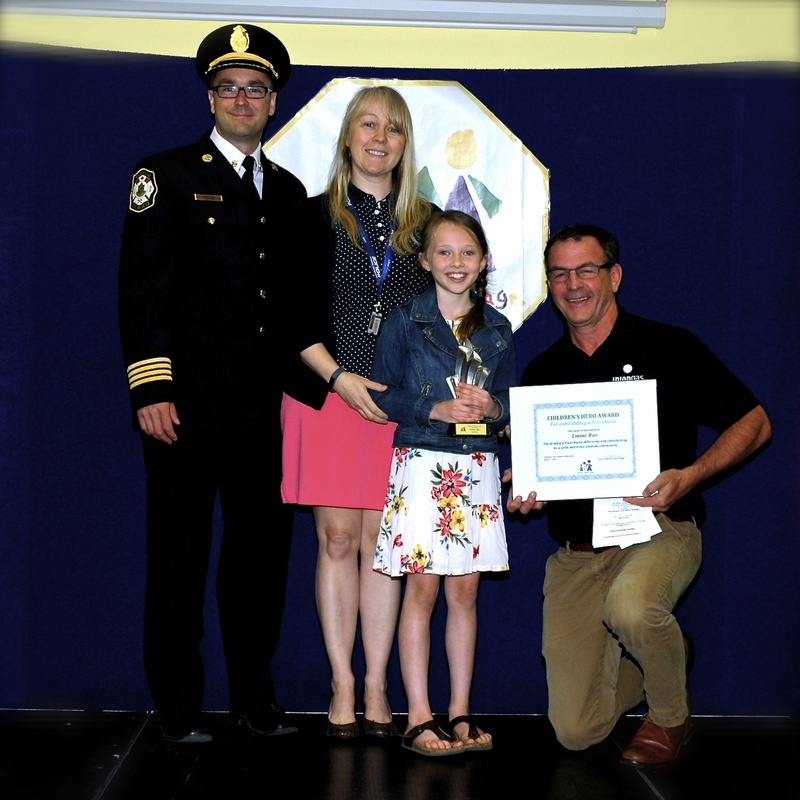 In attendance at the Hero Awards, was Samantha Franken – Waterloo Regional Police Service Communicator (911 Operator), who nominated Emme for this award. Emme’s award was sponsored by Union Gas.